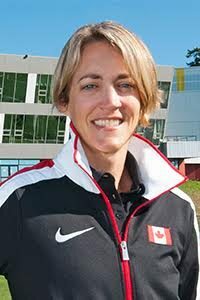 MONTREAL – On Tuesday morning, Team Canada’s PyeongChang 2018 Chef de Mission, Isabelle Charest, announced the appointment of three Athlete Mentors who will help provide support and guidance to competing Canadian athletes. Selected from an extensive list of applicants, the appointees are Olympians Jeane Lassen (Whitehorse, Yukon), Vincent Marquis (Quebec City, Quebec) and Julien Bahain (Angers, France). The trio of Canadian Olympians now complete the team that will work under the guidance of two-time Olympic champion speed skater Catriona Le May Doan, who was brought on by Charest in June in the role of Lead, Athlete Mentor for PyeongChang 2018. In their volunteer roles, the new additions will work closely with Le May Doan to ensure a safe and welcoming environment for Canadian athletes. These mentors will share their experiences and insights, offering a unique perspective on the reality of the Olympic Games. Athlete Mentors are the COC’s pledge to have all its efforts geared towards putting athletes first. Lassen, 36, represented Canada in weightlifting at Beijing 2008 in the 75kg event. In 2006, she became the first Canadian woman in 15 years to win a world championship medal in weightlifting when she captured bronze in the 69kg event. Marquis, 33, represented Canada in freestyle skiing at Vancouver 2010 where he placed fourth in the moguls event. A bronze medallist at the 2009 World Championships, Marquis is an eight-time World Cup medallist and had 20 top-10 results over his career. Bahain, 31, is a three-time Olympian who competed in rowing for France at Beijing 2008 (winning bronze in the quad sculls event) and at London 2012. The transition to racing for Canada wasn’t always easy but the first time he received the maple leafs for his blades was a very proud moment. He fulfilled a life-long dream of representing his mother’s home country of Canada at Rio 2016. The Olympic Winter Games PyeongChang 2018 will take place February 9-25. They are the third Winter Games to be held in Asia and will feature 15 sport disciplines in 12 competition venues. Team Canada will be among 6,500 athletes and officials representing 95 countries.